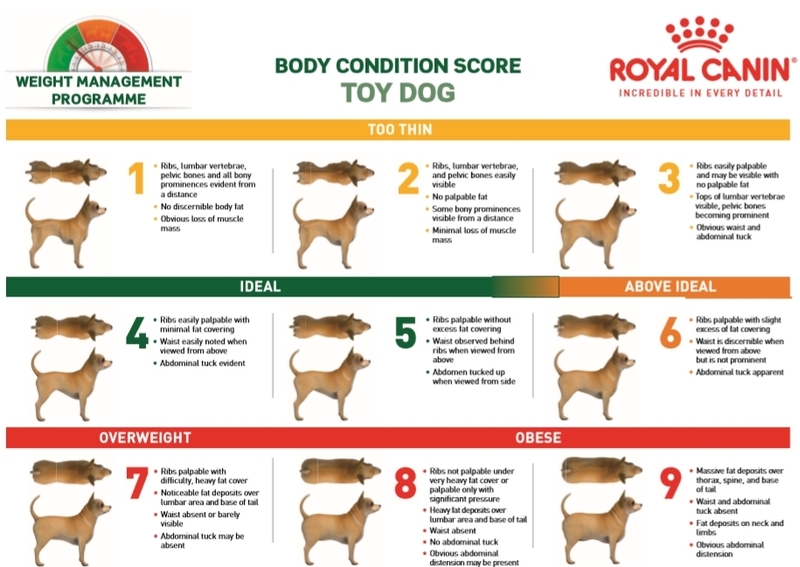 What’s your Pet’s Body Condition Score? 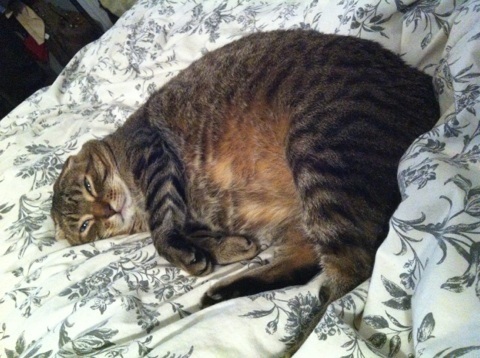 How do you know if your pet needs to loose weight? One way is the number on the scale. For most pets, if they are at a healthy weight at 1 year of age, that is the weight they should maintain throughout their lives. We can look back through their weight history and monitor their changes. This will also give us a weight loss target when we are setting their goals. Run your hand along your pet’s rib cage: you should be able to feel their ribs under a thin layer of flesh but not see them. While standing over your pet: run your hands down their sides from their shoulders to their hips. They should have a nice hour glass figure. When looking at your pet from the side, their stomach should be tucked up under their rib cage. *cats can develop ‘fat aprons’. This is a fat pad on their bellies. This is very difficult area to trim down…unless you can teach your kitty to do crunches, they will probably have that for life. Using their BCS we can tailor a weight loss or maintenance program for your pet. Monthly weigh in’s will help track your pets progress and allow us to tweak their plan. If you would like to discuss your pet’s weight, contact us to schedule a consult with one of our medical team members. We can help get your pet on the right track to a healthy weight.